Why am I having high RBC and hemoglobin counts with low glycated hemoglobin? 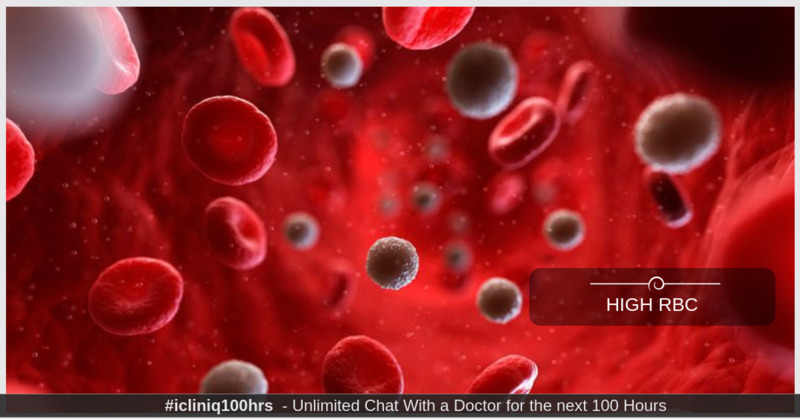 iCliniq › Ask a doctor online › Answers › Family Physician › High Rbc Count › Is it normal to have high RBC and hemoglobin counts with low glycated hemoglobin? Q. Is it normal to have high RBC and hemoglobin counts with low glycated hemoglobin? I am 53 years old, 183 lbs, 5'4". For years, I ran a high white blood count and the oncologist said nothing can be done about that. We need to now watch red blood count and RBC distribution and watch my spleen. Now approximately nine years later, for the last four years, I am seeing red blood count high, hemoglobin high, hematocrit high, monocytes high, red cell distribution worth high, mean corpuscular hemoglobin content low, glycated hemoglobin high. I am very concerned. • Why do I have increased white cells, proteins, leucocytes and epithelial cells in my urine? I have reviewed your query and below is my opinion. Your attached reports are suggestive of high RBC, hemoglobin, and HCT as per provided reference range in a laboratory report. So it is suggestive of polycythemia. It can be primary or secondary. Primary polycythemia seems very less likely here as total WBC count and platelet count is within range. Primary polycythemia is a myeloproliferative neoplasm. Although the possibility is very less you can rule it out by JAK2 mutation test and exon 12 study by a molecular test. For secondary polycythemia, rule out cardiac and respiratory causes by EKG and chest X-ray investigation. Your glycated hemoglobin is slightly high (attachment removed to protect patient identity) which is suggestive of a prediabetic stage. So take less sweets and fatty meals. Regular exercises are also beneficial. Repeat sugar testing with fasting and postprandial blood glucose estimation. Your vitamin D level is low for which Cholecalciferol sachet 60000 IU once a week for eight weeks can be prescribed. The slight high monocyte could be due to cytomegalovirus infection. For that virus only symptomatic management can be done. There is no specific medical treatment for that. Your CBC result is not alarming but needs to be monitored. If you are a smoker, then it can also lead to such a finding. Your ANA is positive which can be falsely positive in infection. So repeat it after few days and clinical correlation is needed for that. I suggest you consult near by hematologist for detailed examination and discuss all these. Why do I have a burning sensation while passing urine?